Headache Pain And Pounding Painful Migraine Concept As A Human.. Stock Photo, Picture And Royalty Free Image. Image 68836649. Illustration - Headache pain and pounding painful migraine concept as a human head brain made of cement being destroyed or renovated by a group of wrecking ball objects as a symbol for personal change as a 3D illustration. 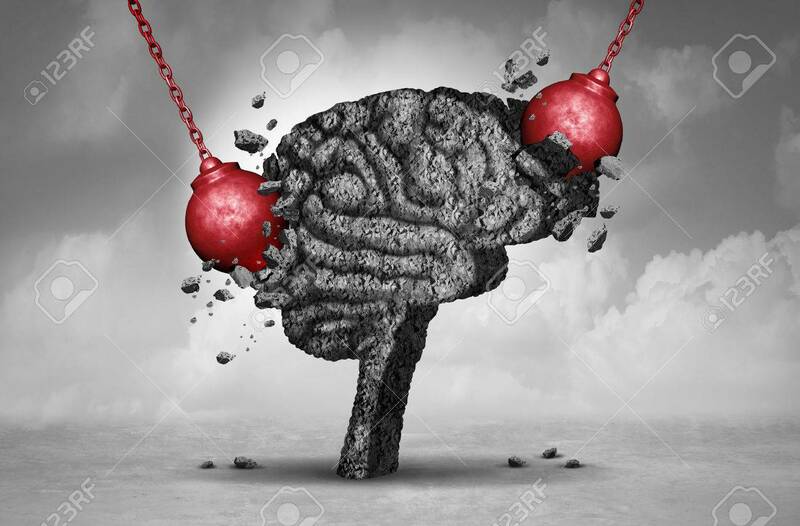 Headache pain and pounding painful migraine concept as a human head brain made of cement being destroyed or renovated by a group of wrecking ball objects as a symbol for personal change as a 3D illustration.